Michigan Aluminum adds 49th color! 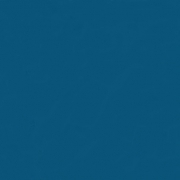 We have added Ocean Blue to our color offering. Ocean Blue matches many of the common blue metal roof colors, and is available in 6″ Coil and accessories only. Samples are available with any delivery or pickup! http://michiganaluminum.com/wp-content/uploads/2018/08/oceanblue.jpg 401 597 Jason Rop /wp-content/uploads/2018/07/MACbluelogonew.png Jason Rop2018-08-09 17:01:512018-08-09 17:01:51Michigan Aluminum adds 49th color!